Before the invention in Italy of instruments we know today as the violins, violas and cellos, many other stringed instruments existed in different times and parts of the world with varying features in common with the violin, some predating the violin by several millennia. Central Asian and Mongolian nomads may have been the first to bow stringed instruments, their idea spreading to East and South Asia as well as the Middle East. 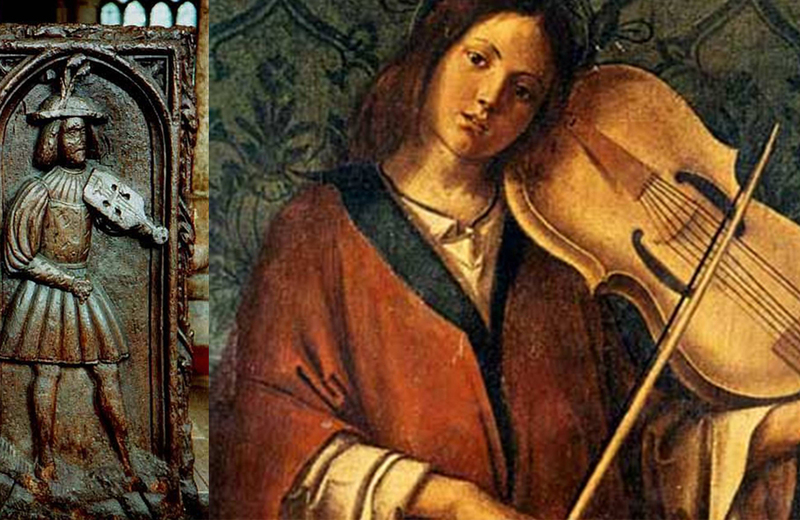 The ancient Greek kithara and the medieval Chinese erhu are stringed instruments indirectly related to the violin. The ravanastron is the oldest known ancestor of the violin, a bowed string instrument existing in Sri Lanka as far back as 5000 BC. It comprised of one 22-inch string spanning three octaves, which is similar to the combined tonal range and string length of all four strings of the modern violin. Today the ravanastron is made from half a coconut shell with the opening wrapped in goat hide, and attached to a bamboo stick and a steel string. A later, more direct relative of the violin is the rebab, which became prominent along Muslim trading routes starting in the 8th Century. The instrument’s two silk strings were attached to an endpin and strung to pegs and tuned to fifths, much like the modern violin. The rebab’s pear-shaped body was made from a gourd with a long neck. It was held in the lap and played with a resined bow. Coming into being in the 10th Century, the rebec was the first bowed stringed instrument to be played on the arm or under the chin. The Moors conquered Spain in the 8th Century and brought cultural influence to the Iberian Peninsula for centuries to come. Evolving from the rebab as well as its Byzantine cousin, the lyra, the rebec typically had three strings and a long, boat-shaped body carved from one solid piece of wood. Popular in Western Europe starting in the 14th Century, the vielle, or Renaissance fiddle, evolved from the rebec and rebab in France. With the addition of a fingerboard, a leaf-shaped peg box and five gut strings, it started to resemble the modern violin. The viola da braccio came soon after, the closest ancestor to the modern violin, with f-holes instead of the vielle’s c-shaped holes. 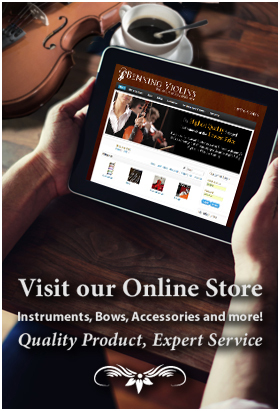 The violin soon outmoded its aforementioned predecessors, as it became the choice design of treble bowed string instrument by the start of the 17th Century and the Baroque Era.